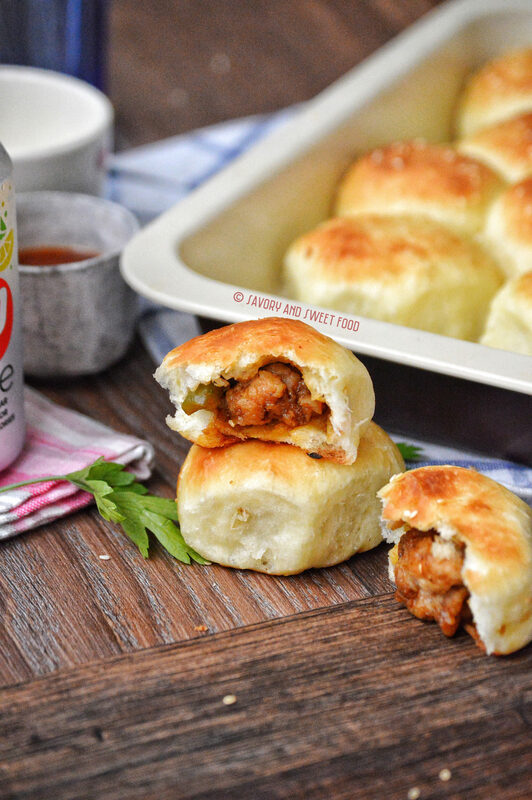 These are the softest and fluffiest homemade pull-apart buns and they are filled with delicious Cashew Chicken. 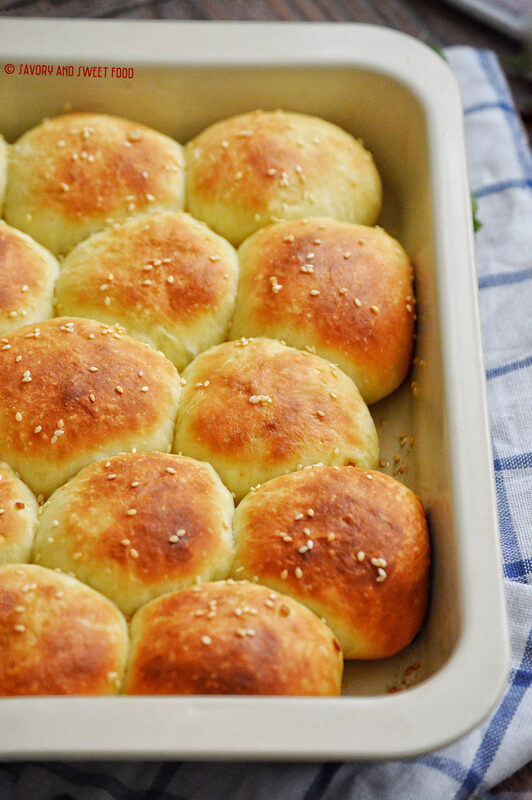 Doesn’t these rolls look amazing? When you bite into it, it will hit you with the most pleasant burst of flavors. The cashew chicken tucked inside is awesome. I can’t decide which part I like more, the the buns or the filling. I made really small round balls, just the perfect size for pulling, dipping it into hot sauce or jalapeño sauce (this was the best combination) and popping into your mouth. It actually looks bigger in the pictures. The buns here are super fluffy and pillowy soft. There is a secret ingredient which makes the buns so soft….its mashed potatoes. 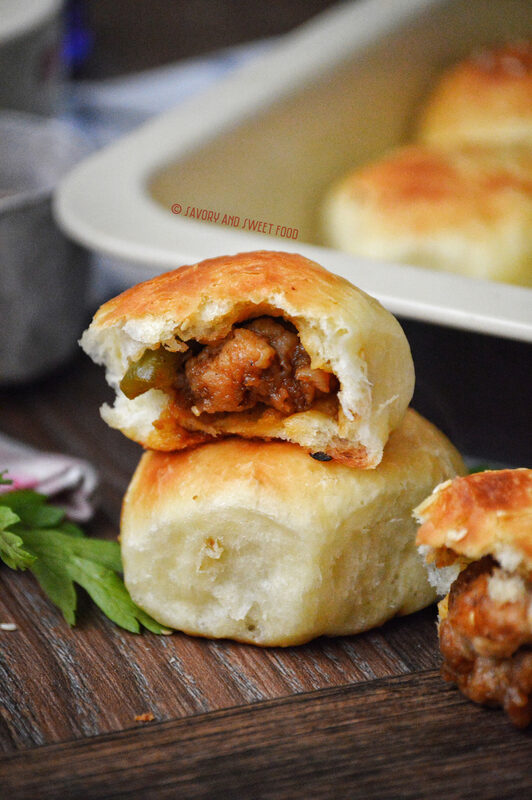 I love using mashed potatoes in breads nowadays after I made this super soft chapathi. 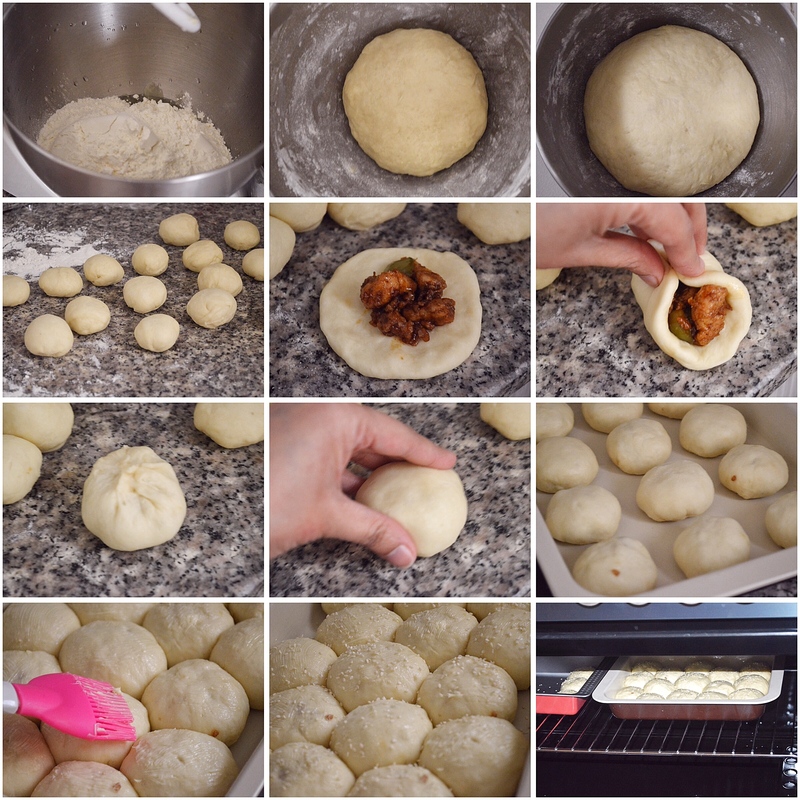 I add it to puri dough too…and now in buns. It works like magic everywhere. It seems that the starches in the potatoes dilute the gluten-forming proteins, which makes the breads softer and tender. 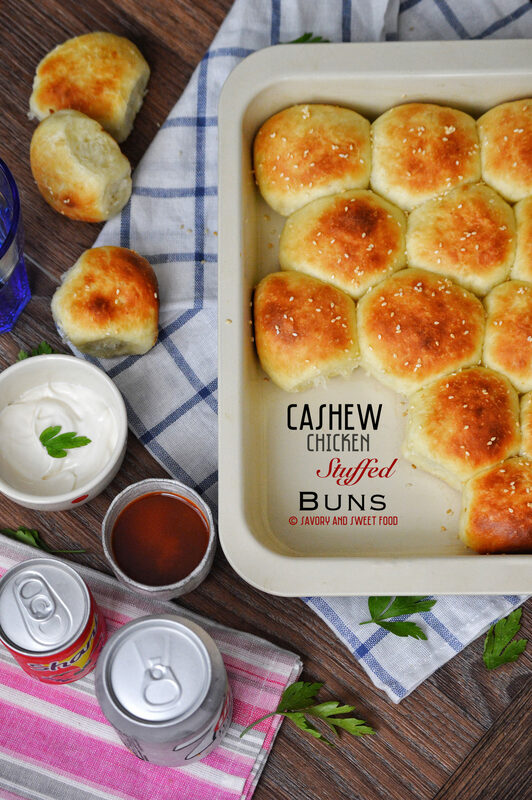 You can make the buns alone to use as dinner rolls and similarly you can have the cashew chicken with rice or flat bread. Please do give this recipe a try. Marinate the chicken cubes with cornflour, pepper and salt. Heat 2 tbsp of oil in a frying pan and shallow fry the chicken pieces till cooked through. 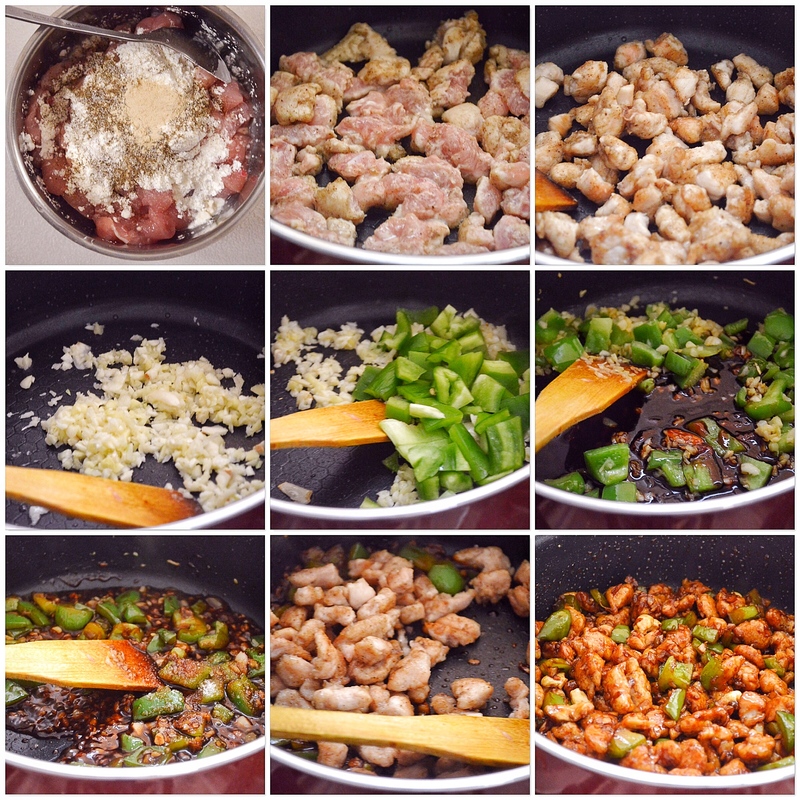 Remove chicken from pan, add more oil if needed and add garlic ginger and green chillies. Sauté till raw smell goes. Add in capsicum. Sauté for 2-3 minutes. In a bowl mix together the sauces, vinegar and honey. Pour this sauce mix into the sautéed veggies. Stir around and cook for 5 minutes. Add sugar. Drop in the chicken and cashews. Mix well to coat the chicken with the sauce. Check for salt and add if needed. Cover and simmer for 3 minutes. Mix and knead all of the ingredients together by hand or using a mixer till you get a smooth, soft dough. Place the dough in a slightly greased bowl and cover the dough with little oil all over. Cover the bowl with plastic wrap and let it rise for about 90 minutes till it doubles up in size. Stuff the chicken filling in each dough and roll it into smooth rounds. 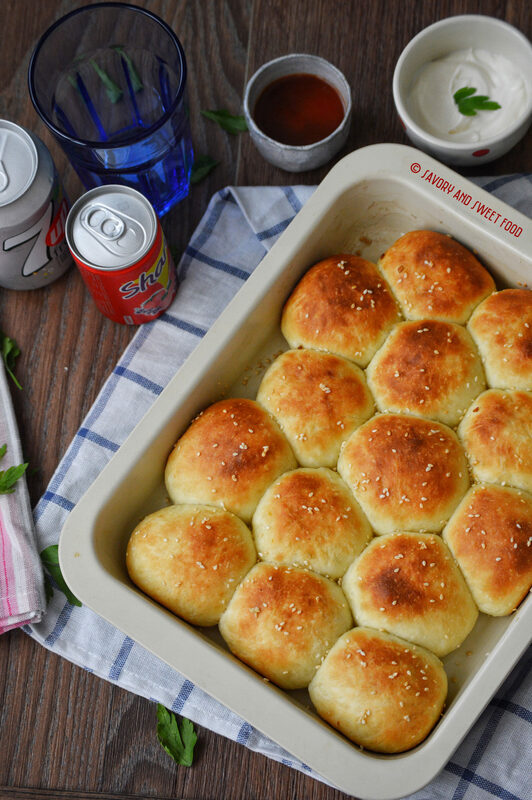 Place the rolls in a lightly greased 9” by 13” inch pan. Cover the pan with plastic wrap and let it rise for 1 1/2 hours until they are puffy. Brush the top of dough with melted butter and sesame seeds. 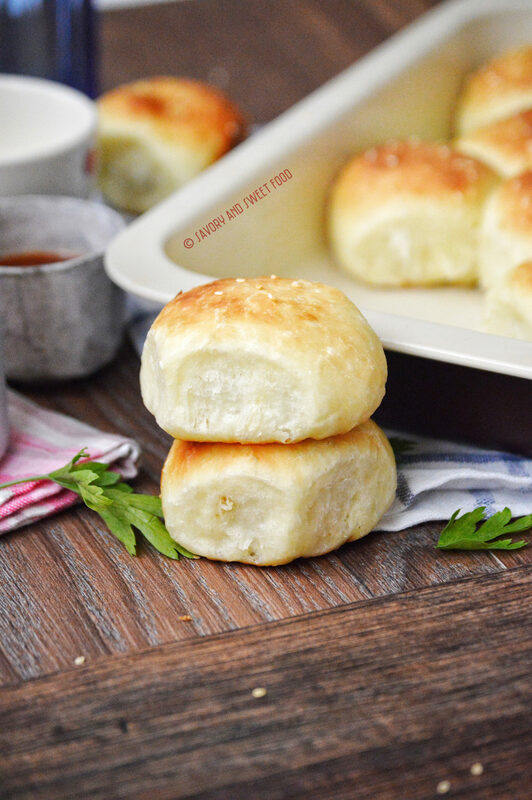 Bake the rolls for 20 minutes, until the turn golden brown and are set. Remove from oven and brush with more melted butter. 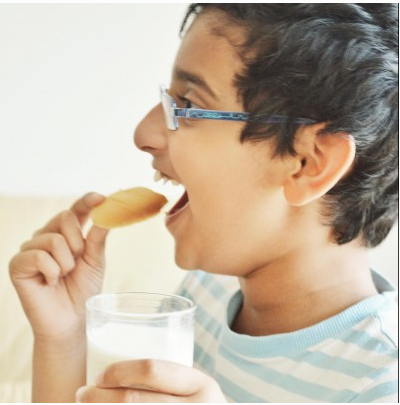 Make sure that you use instant yeast and not active. Instant yeast can directly be added to the dough, you don’t need to proof it. But if you can’t find instant yeast, then use active yeast but make sure that you proof them first and then add to the dough. If the dough is too sticky and unmanageable, add few tbsp of flour. And if the dough feel too dry add few more tbsp of water. Gently deflate the dough and divide the dough into 16 parts. These look sensational and I will be giving them a try. I’m wondering, would any other vegetable work in place of the capsicums? While I don’t mind the chilli peppers, I can not tolerate the flavour of a cooked sweet pepper. I was thinking maybe pumpkin, green beans, asparagus or maybe peas, what do you think? Thank you for your recipe and any suggestion you could offer by way of substitute veg.